Fancy camping on the banks of England's largest lake? Then head for Windermere in the Lake District, one of the national park’s most-treasured areas. Campsites aren't exactly few and far between in this outdoor-lovers' paradise and, since such a large lake means plenty of surroundings, there are loads of fabulous choices for campers. So, whether you're here for boating, hiking, mountain biking, or just exploring Windermere town, you'll be sure to find a camping or glamping site that suits your needs. Unforgettable lakeside camping – if you can bag one of the few spots! Blissful Lake District chilling, minus the lakes and the congested roads. The simple life in the heart of the dale. Blissful Lake District chilling, minus the lakes and the congested roads.The simple life in the heart of the dale. Windermere is England’s largest lake, situated at the heart of England’s largest national park; the incomparable Lake District. It’s one of the national park’s most popular spots and has fantastic places to stay from fancy hotels to back-to-basics campsites. 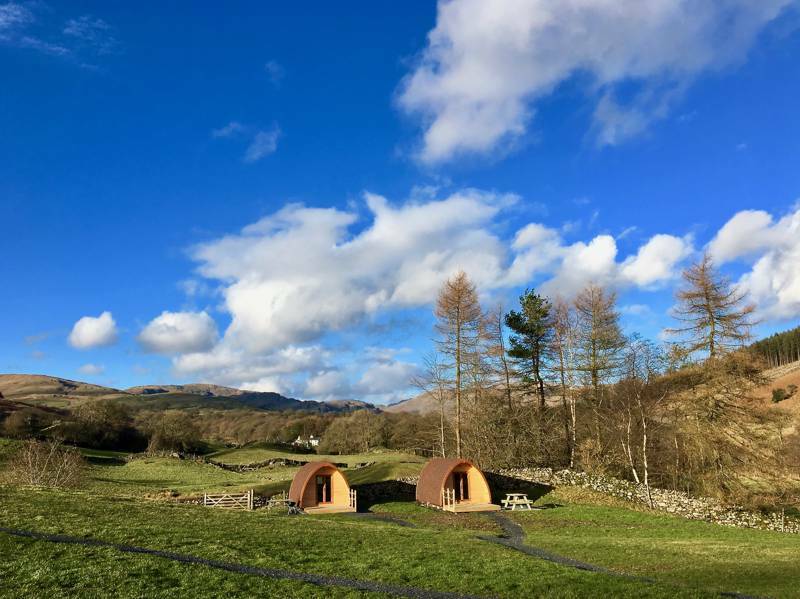 It’s the latter we’re interested in, of course, although occasionally, when we’re looking for a bit of luxury, we’ll dip our toes in to the world of Lake District glamping. The Lake District started attracting holidaymakers in the 19th century and it’s never stopped. Thanks to its beautiful landscapes, it became a national park in the 1950s and a UNESCO world Heritage Site in 2017. Windermere, in the South Lakes area, has always been a base from which to explore whether you want to spend your days fell walking, sightseeing or out on the water. 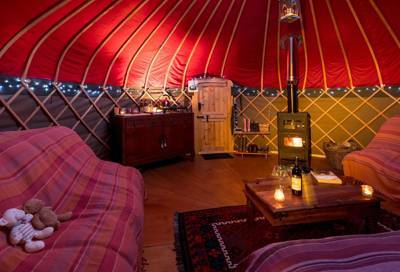 With so much natural beauty around, camping and glamping are quite simply the best ways to stay. Whether you fancy pitching your tent in a classic Cumbrian stone walled meadow or getting cosy in a yurt, cabin or shepherd’s hut, choose camping or glamping in Windermere and you’ll find yourself immersed in beautiful scenery from sunrise to sunset. Windermere is the name given to both England’s largest lake and the bustling village a mile-and-a-half from its shores. The village itself is a hub for outdoor lovers, providing places to fuel up and stock up with pubs, tea rooms and a handy supermarket too. A mile north of here is Ambleside – the starting and ending point for lots of walks so a good place for hikers to head to. But it’s the lake itself that provides most of the attraction. At 10-and-a-half miles long there’s plenty of water-based activity and things to do. From Bowness-on-Windermere you can take to the water by hiring rowing boats, kayaks and paddleboards or choose a more leisurely option with a cruise where someone else is at the wheel. Cruises last from 45 minutes to three hours and offer a great way to see the surroundings from a new perspective. At the far south of the lake is the Lakeside and Haverthwaite Railway, a heritage steam railway with a restored station and short section of lakeside track. From its Lakeside station, you can visit another popular attraction that’s great for a day out in Windermere during a camping or glamping holiday; the Lakeside Aquarium. Showcasing both local and tropical species, it’s a popular place for families – especially on those odd rainy days in the lakes. Another family-friendly attraction is World of Beatrix Potter at Bowness on Windermere, which offers an insight in to the author who lived and wrote in the Lake District. 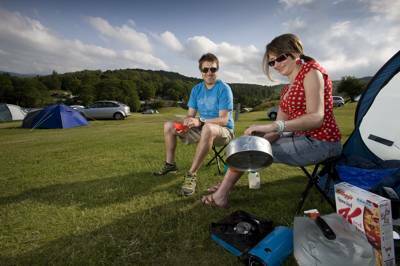 Find more information on things to do in and around Windermere during a camping or glamping holiday at the Lake District National Park website. 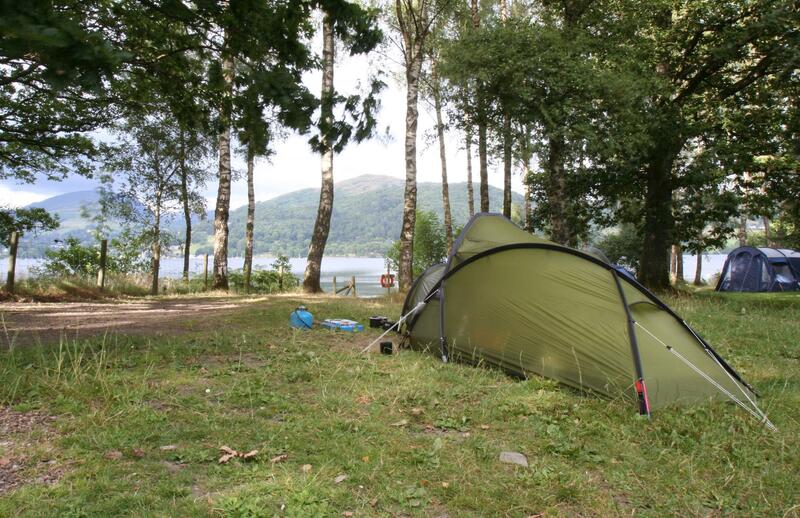 Windermere lake boating, hiking, mountain biking lake district cumbria cumbrian national park camping campsites campsite campervan campervanning caravan park at Windermere Camping, Fancy a camping holiday on the banks of England's largest lake? 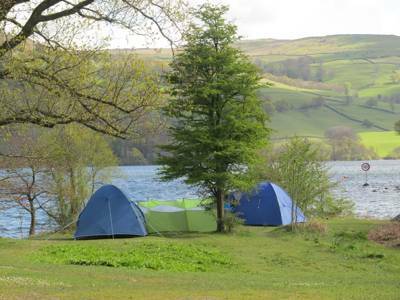 Windermere campsites aren't few and far between and, since such a large lake means plenty of surroundings, there are loads of choices for campers. 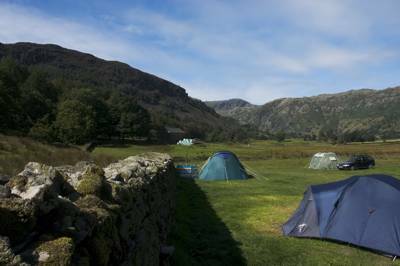 So, whether you're here for boating, hiking, mountain biking, or just exploring Windermere town, you'll find a recommended campsite to suit.